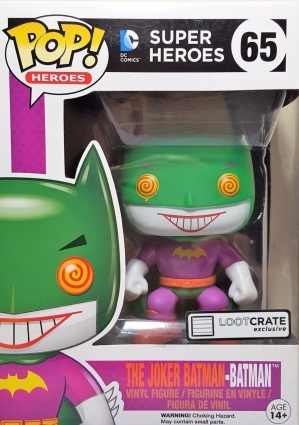 Creating something unforgettable is not easily accomplished but DC Comics managed to do so when the Joker debuted in the first Batman comic book in 1940. 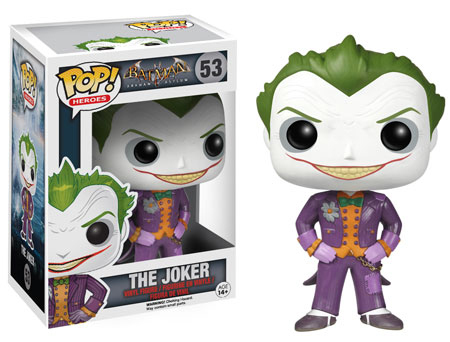 Since then, Joker has appeared alongside his eternal enemy in countless comics, video games, movies, and even an animated television series. 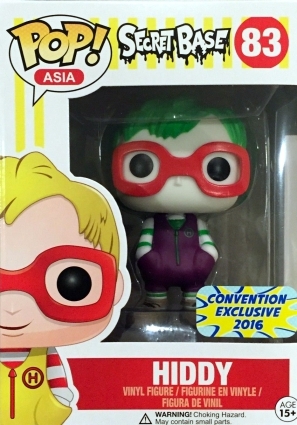 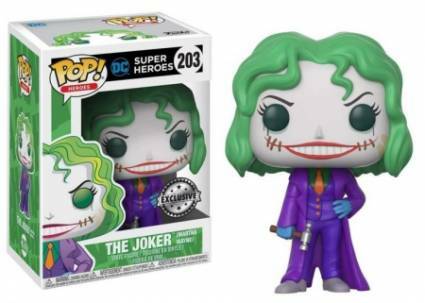 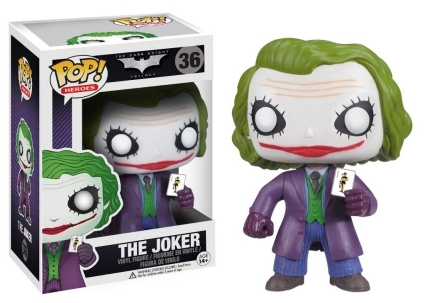 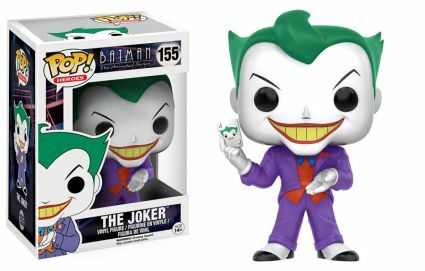 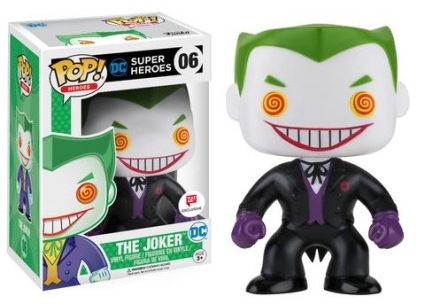 While the Joker's characteristics constantly evolve, his signature pale skin and green hair remain unchanged, giving fans many Funko Pop Joker figures to collect. 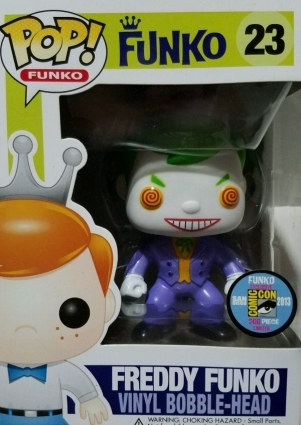 Regardless of The not being officially part of his name, only the first Funko Pop Joker figure can be found without "The Joker" on the box. 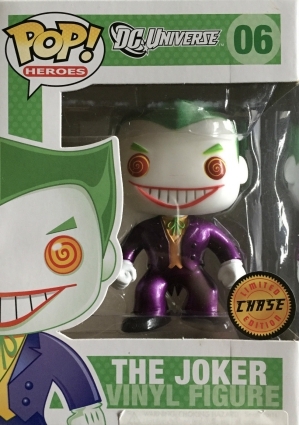 Despite having the same box numbering (#06), the earliest Joker figures are easy to differentiate as the DC Universe edition features a green box whereas the DC Comics figures come in the Super Heroes box. 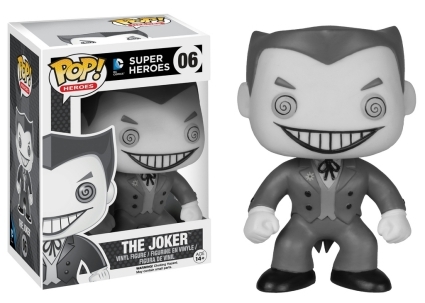 Variants for the main figure include a limited chase metallic release and a black-and-white Hot Topic exclusive. 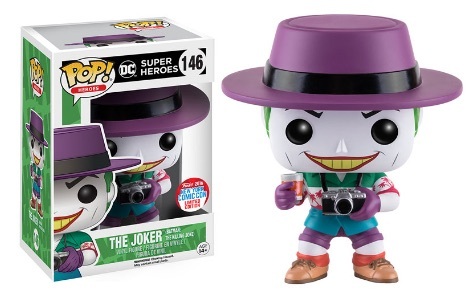 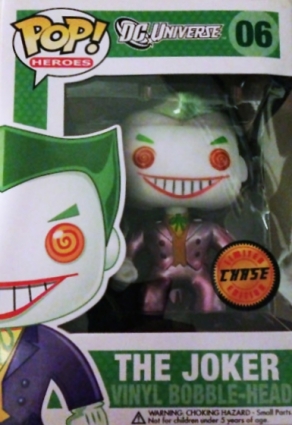 Additionally, a Funko Pop The Joker bobble-head, and its metallic chase variant, are issued exclusively through Target. 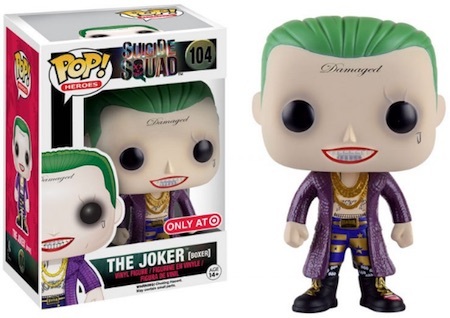 Order Funko Joker Figures at Entertainment Earth. 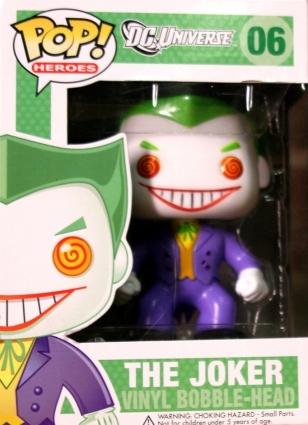 For many fans and collectors, Joker and Batman go hand-in-hand. 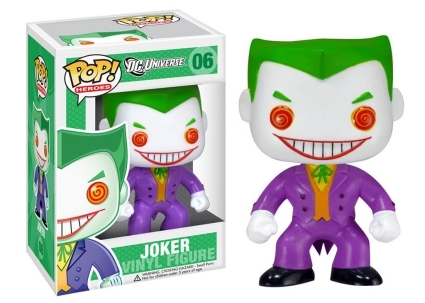 This also applies to the world of vinyl figures, and there are multiple Funko Pop Joker figures from the various Batman television show and movie sets. 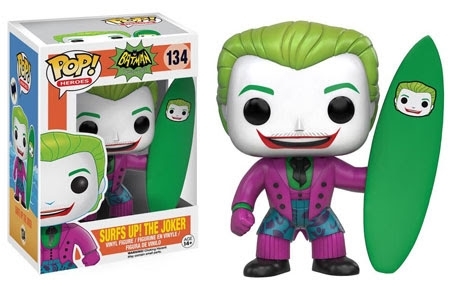 This includes Joker in a brightly colored pink suit as part of a Surf's Up figure (surfboard included!) 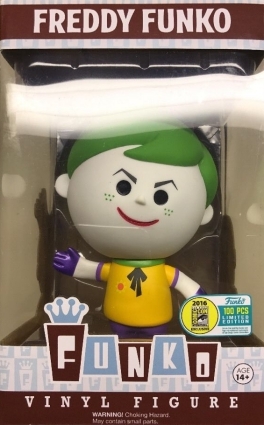 from the classic '66 series. 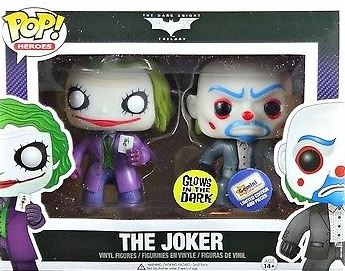 Covering The Dark Knight trilogy, the smirking villain is found as a masked Bank Robber, as well as a PX Preview that has The Joker in a nearly all-white ensemble while holding a knife. 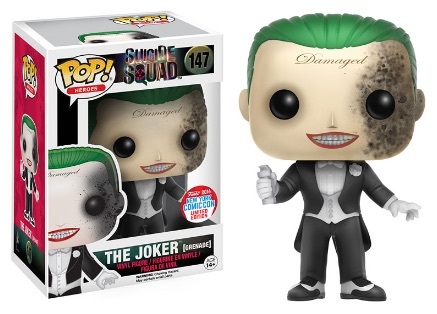 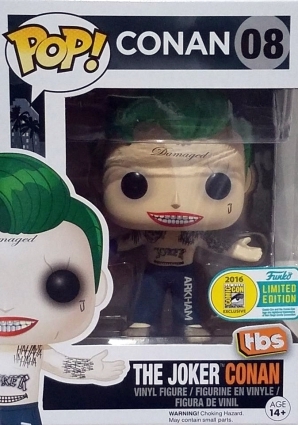 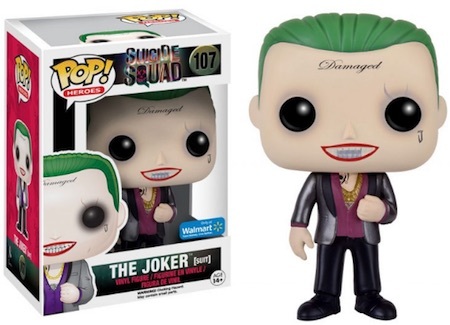 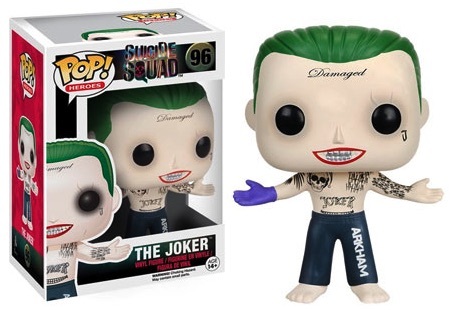 Of course, the success of Suicide Squad has given fans even more Funko Pop Joker figures to collect. 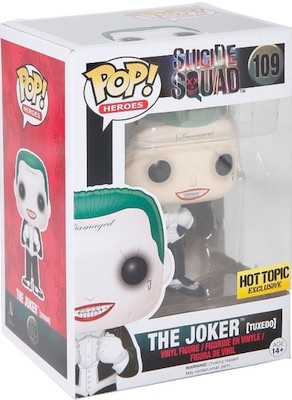 Most of them are exclusive variants, such as The Joker in a Tuxedo (Hot Topic), wearing a suit (Walmart) and the 2016 New York Comic Con grenade damage Joker (still grinning) exclusive. 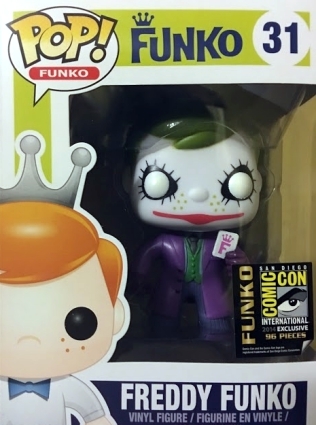 If you haven't already noticed, the Clown Prince of Crime has a multitude of figures from various Pop! 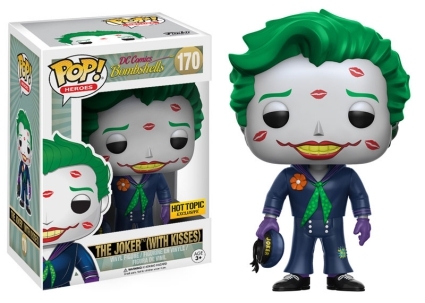 lines, offering completists a tall task. 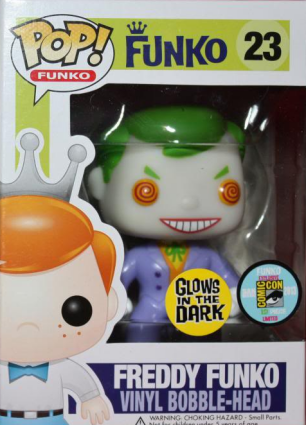 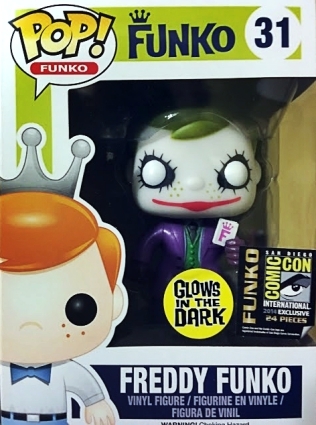 In addition to the main options, there are also several limited Funko Freddy Joker editions and there is even a Conan O'Brien Joker exclusive from 2016 SDCC. 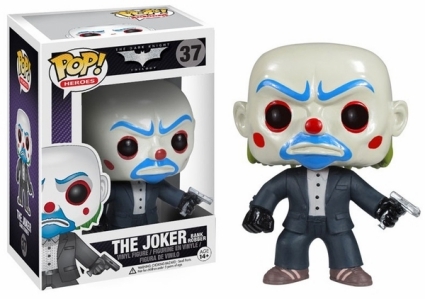 Along with Pop! 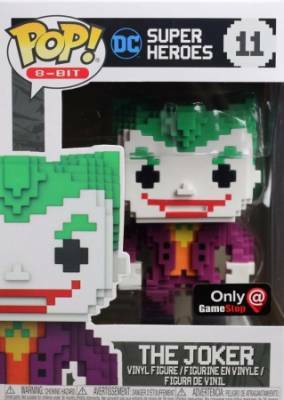 8-Bit pixelated versions issued through 2017 GameStop Black Friday Mystery Box including The Joker metallic chase variant. 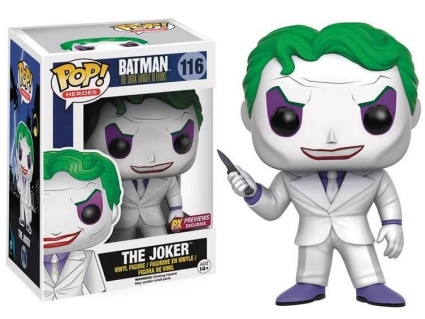 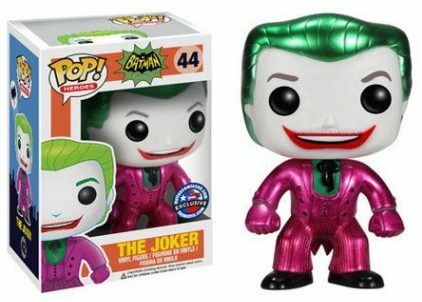 Provided below is a comprehensive checklist of all the Funko Pop Joker vinyl figures listed by individual lines, including variants and exclusives. 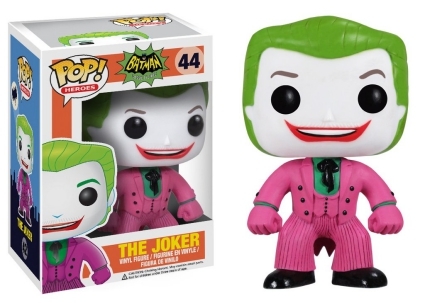 The corresponding gallery on the next tab is listed in numerical order and features an image for each figure. 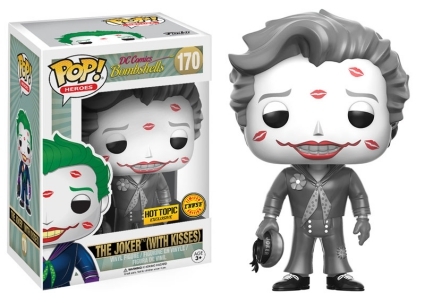 If you are looking for more collectibles for the infamous clown, we have you covered with a detailed Joker collecting overview.